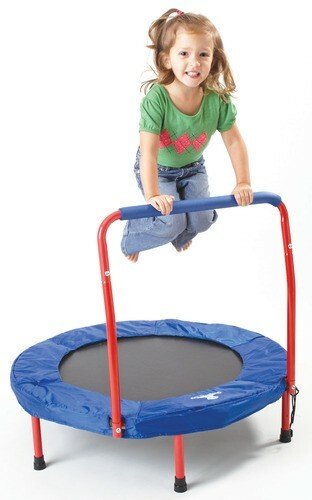 The Safe Bounce Trampoline by The Original Toy Company is designed for use by kids ages 3 years & up. It's easy to assemble, too: Simply open up the frame, screw on the legs, bolt on the handle and it is ready for use! Both frame cover and handle grip are padded for extra safety and the durable frame finish allows for indoor and outdoor use. When not in use, it is easy to store -- just unscrew the legs and remove the handle bar. Instructions and tools included. 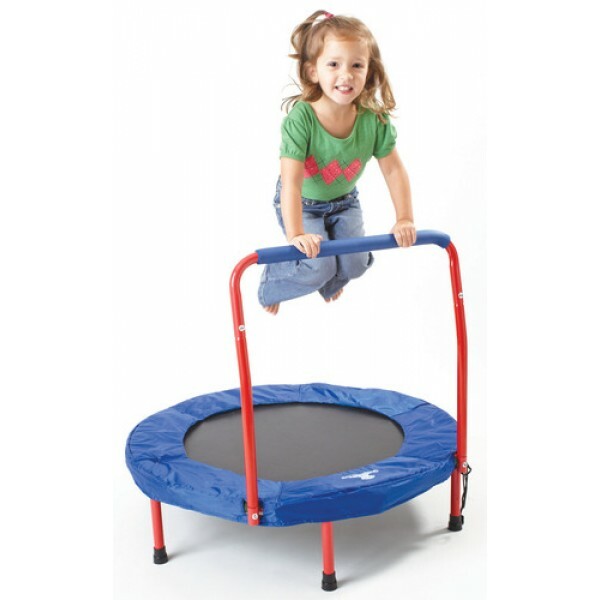 Suitable for weight up to 150 lbs. 36" diameter. Great for ages 3 and up! Suitable for up to 150 lbs.